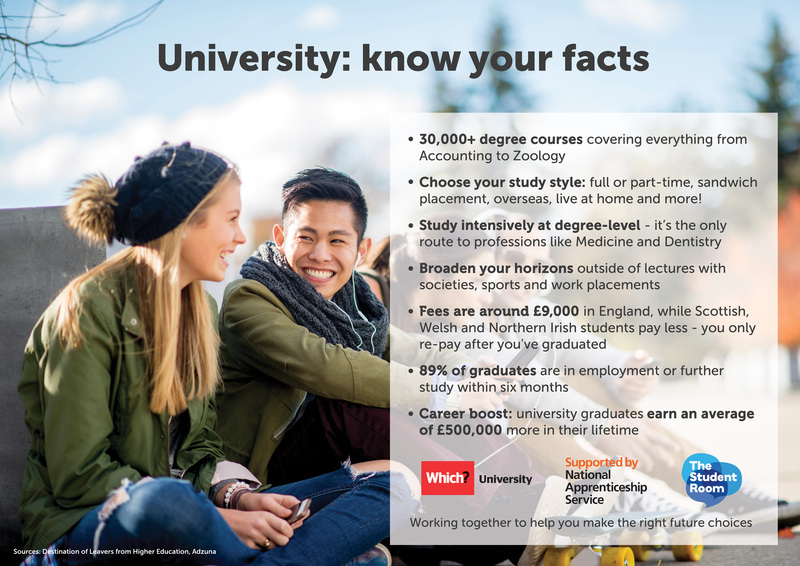 A2 wall posters: university or apprenticeship? - Which? 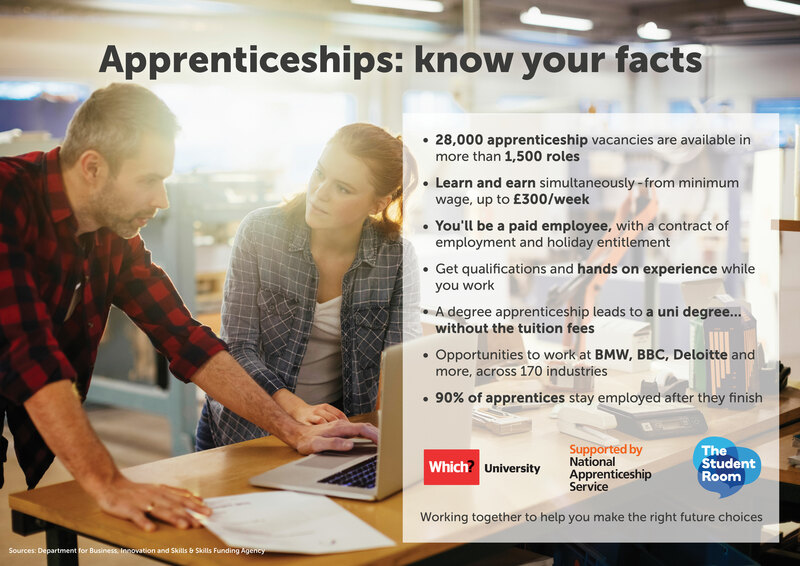 Adorn your classroom walls with this set of university and apprenticeship posters, designed with our friends at The Student Room and National Apprenticeship Service. Here's a way to encourage your students to start thinking about their future options - stick these up on your walls! We've shone a spotlight on two different routes - going to university and combining work and study with an apprenticeship. Whatever route your students might be aspiring to in the future, we hope these posters will inform and inspire. The posters have been designed to print out at up to A2 size, but will also resize to smaller paper sizes.